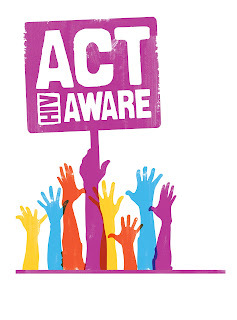 December 1 is World AIDS Day, a day to make a pledge to take action against HIV and AIDS. It's a day to raise public awareness and breakdown the stigma that surrounds the disease. There are a number of ways you can support the day, and we've highlighted a few here. Turn everything RED. Wear a red ribbon or red clothing, Twitter/Facebook/FourSquare/Meetup some red, or attend a local World AIDS Day event. Buy/watch/share resources. A number of businesses are giving back through donating some or all of their proceeds of purchases to the cause. 100% of your MAC VIVA GLAM Lipstick and Lipglass goes to helping women, men, and kids with HIV/AIDS. The Killers took a break from their hiatus to create their 5th annual Christmas song for the (RED) campaign. Buy the song on iTunes or watch the video hosted by Starbucks and directed by the director of Napoleon Dynamite to contribute to The Global Fund. Speaking of Starbucks, visit your local one to purchase your favorite drink and 5 cents of your order goes to The Global Fund. Buy (RED) Save Lives: Shop the cute items, from Bugaboos to Converse sneakers to skateboards to a bunch of trendy GAP items. "(RED) is a simple idea that transforms our incredible collective power as consumers into a financial force to help others in need." Keep A Child Alive has digitally "killed" some celebrities, but you can buy their digital "life" back through a donation to help children orphaned by AIDS in Africa. Personally, we hope to bring back Elijah Wood, but we think we'd be okay not hearing from the Kardashians or Ryan Seacrest for a while. For more ideas, visit change.org or the World AIDS Day 2010 Events Calendar.